OK, friends and fans of KE, we are thrilled to announce that the brilliant Peter Matuchniak of the Gekko Project, the Steppes and, his new group Bomber Goggles has consented to be the guitarist on the new CD we are building these days, and join Kinetic Element. Peter was recommended to us by several of our fans when Todd Russell decided to discontinue his association with us after nine years and three festivals. We were contacted by seven world-class guitarists, but when we got about ten suggestions to contact Peter, I did so, and we have hit it off very well. Peter has completed replacing Todd’s guitar work on the last epic we finished called All Open Eyes. As great as Todd’s work is, Peter has exceeded it and the rest of us are just euphoric that he is going to be on the new CD. He is working on fixing a couple of parts and when I get the corrected and mixed file back from him I will post it so you can hear it. Please visit Peter at his https://www.facebook.com/petermatuchniak.music/ and help us extend a welcome into the KE universe to him. We ask you to please share this around to any prog groups you frequent, or just share it out there in general. Thank you, Mike and everyone at Kinetic Element. This is a real honour (and an honor) to play with you all. I love the music that is shaping up on this new album. 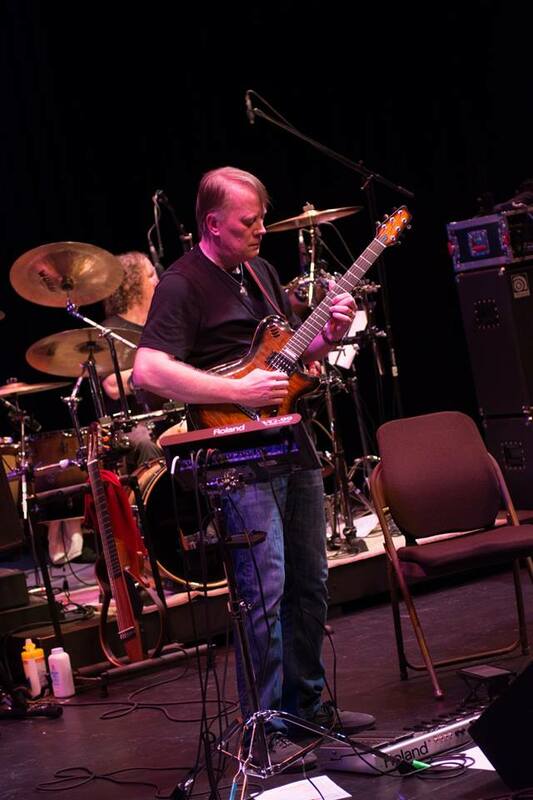 Todd is a fantastic guitarist with big shoes to fill, but I relish the challenge the music and opportunity present. These guys are very classy and I appreciate the warm welcome.